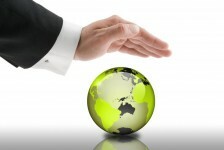 Corporate Social Responsibility: It’s Not Just For the Private Sector Anymore! When confronted with the term “Corporate Social Responsibility” (CSR) it is generally presumed that we are referring to the operation of a private sector entity in a manner that accounts for the social and environmental impact created by the entity or, business. CSR not only refers to an organization’s commitment to developing and integrating policies (most commonly in the form of social, environmental and economic sustainability) into daily business operations, but to the self-reporting on progress made toward implementing such practices. Presently, most of corporate America has taken to addressing issues affecting virtually every area of operations: governance and ethics; worker hiring, opportunity and training; responsible purchasing and supply chain policies, and energy and environmental impact. According to the not-for-profit organization As You Sow, early CSR reports often focused on philanthropy as a driver of CSR. That notion has been supplanted by a broad commitment to protecting and improving the lives of workers and the communities in which companies do business. – Create an enabling environment. – Raise awareness and stimulating public debate for challenges and issues. – Promote CSR initiatives by endorsing or inviting business and wider community support. – Formally recognize CSR initiatives. – Develop CSR guidance documents. – Build capacities for CSR in businesses, civil society and public authorities through trainings, Internet platforms, etc. – Convene businesses and stakeholders as an extension of capacity-building. – Mediate (i.e., active but neutral arbitration) interests (for example in tri-partite bodies) that can build on the convening role. – Fund research and facilitating networking of researchers in the CSR context. – Engage in public-private partnerships. – Develop tools for CSR management. According to a report issued by Halina Ward, Director, Corporate Responsibility for Environment and Development, International Institute for Environment and Development, some of the ancillary benefits of a public sector CSR include their ability to help inspire new strategies to address gaps in public sector capacity. Further, a solid CSR can offer valuable insights for partnerships by creating synergies between the complementary skills of public, private and civil society actors to achieve public policy goals related to sustainable development. As Gen Y-ers continue to come onto the public sector employment scene, public entities may want to consider how that will answer the question, “Is your city/county/organization socially responsible?